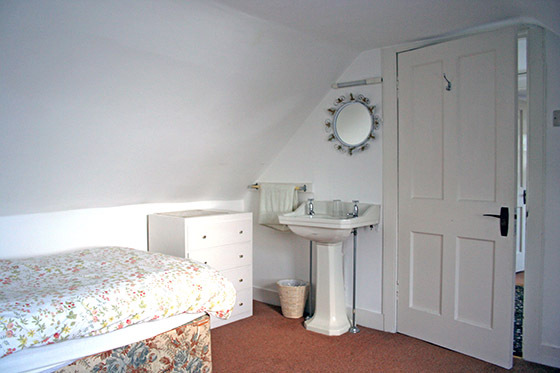 This is a very good-sized single bedroom and has plenty of room for a wardrobe, easy chair and wash hand-basin. 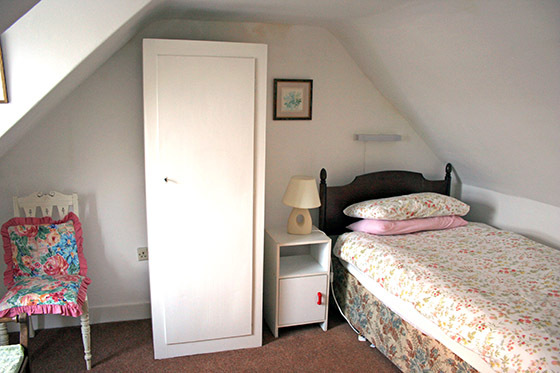 This is virtually identical to the other room and so has a single bed, wardrobe, easy chair and wash hand-basin. The sloping ceilings of these rooms just add to their charm. 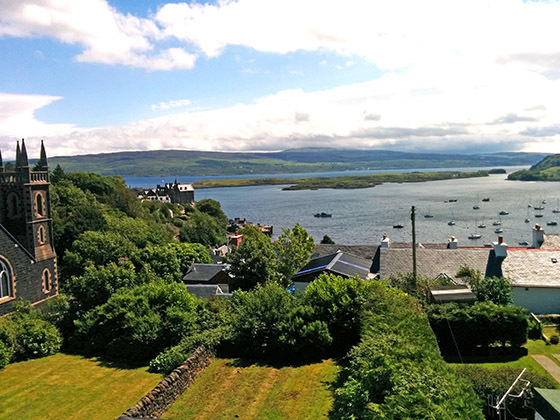 Both these rooms also have fabulous views over Tobermory Bay and across the Sound of Mull. Heating and hot water are by Total Control. 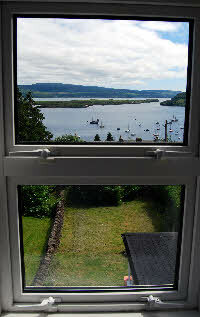 All towels, tea towels and bed linen are provided. 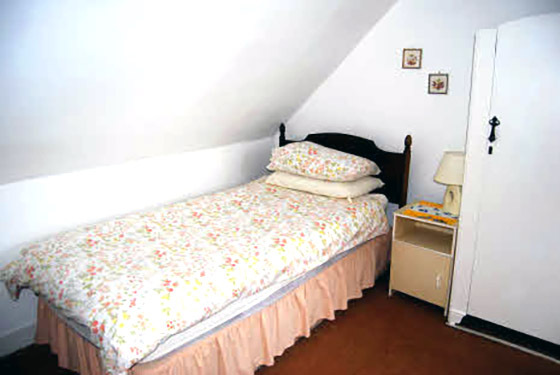 Each bed has a good duvet and there are additional blankets available. There is ample street parking in front of The Rowans.